If you are bothered by a lowered eyebrow position, expression lines or other signs of aging in the brow region, a brow lift may be the right procedure for you to consider. A brow lift minimizes the creases that develop across the forehead, or those that occur high on the bridge of the nose and between the eyes. It can reposition a low or sagging brow that is hooding the upper eyelid and raise the eyebrows to a more alert and youthful position. Dr. Walker likes to utilize a ‘mini brow’ lifting procedure that is performed through two anterior hairline incisions. This is done using local anesthesia with mild sedation by mouth. The forehead is wrapped and the patient discharged to home. Follow-up is in office where sutures are removed 4-5 days later. 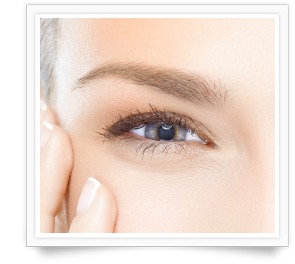 Brow lifting is often combined with eyelid surgery to give a more youthful, brighter appearance. During your initial consultation, you and Dr. Walker will discuss the changes that you would like to make in your appearance. He will explain the different options available to you including full coronal brow lift or endoscopic brow lift procedures in addition to the popular mini lift procedure.